There aren’t too many vehicles that have as long standing lineage as Volkswagen’s Golf which is now in it’s 7th generation. But ever since the introduction of the first generation, the Golf has been establishing its place in automotive history. Introduced to the world as a modern economical front wheel drive car, the Golf was created to be an everyday commuter providing ample space in a small package. At a time when emission regulations were becoming more stringent and performance automobiles were not the hot topic, a group skunkworks team was formed at Volkswagen who put in design, engineering and marketing time after-hours to create truly the first hot hatch in automotive history. Branded as the Golf GTI, the car was never thought to be a success story, but customer response proved otherwise. The GTI first took to the public eye at the 1975 Frankfurt Motor Show. Keeping the recipe simple, the engineers at Volkswagen raided the parts bin and gave the light weight commuter Golf a sport tuned suspension and a bump in the horsepower department. Fitted up front in the mk1 GTI was a 1588cc four-cylinder engine with a ground breaking K-Jetronic mechanical fuel injection system which made 110hp. By today’s standards that is not a lot of power. However, big power was never in the design plans for the GTI. It was about creating a well rounded package resulting from the sum of its parts. The mk1 GTI, to this day, is still a highly sought after car because it defined simplicity in engineering. The car is forgiving on the road for a daily driver, but had just enough performance to make it one hell of a weekend canyon carver. The world took notice of the success of the mk1 GTI and competition started to make its way onto the market place. This made for a highly competitive time when the mk2 GTI was put into production. What Volkswagen knew they had with the mk1 was a winning combination. So without reinventing the wheel, the company took the same recipe of the mk1 GTI and simply evolved it to become a more modern and better vehicle with the mk2 GTI. Larger displacement engines made its way under the hood starting with a 1.8L and a 2.0L 16-valve motors. Volkswagen continued the evolution of the mk2 with all around better materials and design inside and out. I can still remember sitting inside a mk2 GTI and being greeting by some of the best seats made by Recaro. The mk3 GTI continued down the evolutionary path. The classic bodylines of the generations before began to give way to a rounder profiled car. Probably not the most exciting of the generations to look at but what it lacked on the visual end it made up big time in the engine department. More powerful versions of the 1.8L and 2.0L engines found its way under the hood. 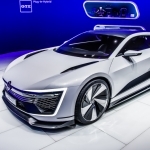 But both those engines paled in comparison to an all new 2.8L VR6 engine that was released by Volkswagen and made its way into the economical hatchback. The VR6 motor defined the mk3 GTI. When the fourth generation GTI rolled off of the assembly line, Volkswagen further evolved the exterior of the car. 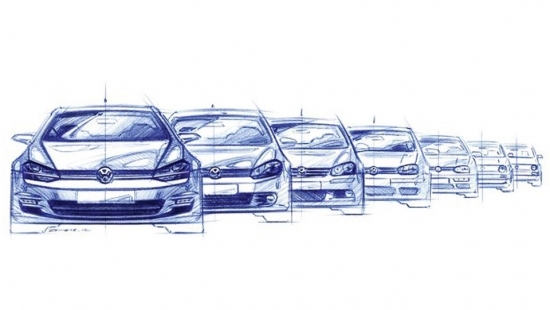 With that, a number of variants and special editions were now available for the mk4 Golf. With growing number of variations being made available, the Golf was starting to lose a bit of its identity. 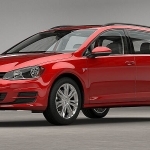 However, with this generation also came the first use of a turbo charged engine in a production Golf. The mk4 GTI used a 1.8L turbo four-cylinder engine which was both good on gas and produced the highest horsepower of all GTIs up to this point. With slumping sales of fourth generation GTI, and also a bit of an identity crisis, Volkswagen really had to put in some work to bring back the essence of the GTI in its fifth generation car. Everything about the mk5 GTI was about bring back what was once great in the GTI but up the ante and inject the car full of steroids. The mk5 GTI used an all new 2.0L turbo engine and was optioned with Volkswagen’s latest dual clutch automatic transmission. The transmission provided the smoothest and fastest shifts in the industry, and the engine was noted to be a quick spooler which essentially eliminated turbo lag which plagued turbo vehicles of the prior generations. Much like the mk1 GTI, the mk5 GTI redefined the performance hot hatch and echoed everything that was good about the original GTI. The mk6 GTI stayed course with what worked well with the mk5 GTI and simply went the route of enhancing and evolving things to up level the car to its audience. The next big jump for the GTI came with the mk7. Built on a completely new chassis, the mk7 GTI took what was great about the mk5 and mk6, but used the latest technology to make the car lighter and more nimble. 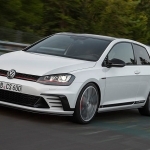 Volkswagen also incorporated a new differential which essentially eliminated torque steer and enhanced things in the suspension department with active suspension technology which further improved handling characteristics of the GTI. Without a doubt, Volkswagen has created a winning package with the latest generation of GTI. The car is no longer marketed to a small segment of young kids. Rather, with luxury materials, great design, and amazing performance to match, today’s GTI has become the go to vehicle for high performance hot hatch that suits both the performance junkie and the everyday grocery getter.